Here we are at the beginning of a new year. Perhaps you, like me, have made some New Year’s resolutions including genealogy or family history goals. How do you plan to accomplish those goals? Have you already “failed” and given up? Well, dust them off and make your goals a part of your routine to achieve success in 2018. The Merriam-Webster dictionary defines routine as: a regular course of procedure; a habitual or mechanical performance of an established procedure. In more basic words, a routine is simply the order in which you typically proceed with your day or your week. 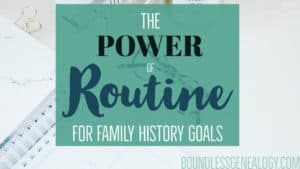 We all have routines, whether we realize it or not. The beautiful thing about a routine is it is flexible, not rigid like a schedule. And it can be changed: subtracted from, added to, simplified, or re-prioritized as needed. A routine helps us get more done with less effort because it becomes a habit or an automatic process. But, we are all so busy, right? How do we find time in our existing routine to fit in yet another thing? So often, we set our New Year’s goals with great intentions in mind. However, it is easy to push aside these goals that are important to us for things that are less important, but more urgent or immediate. So ask yourself: What is less important in your routine? Where do you have wasted time? 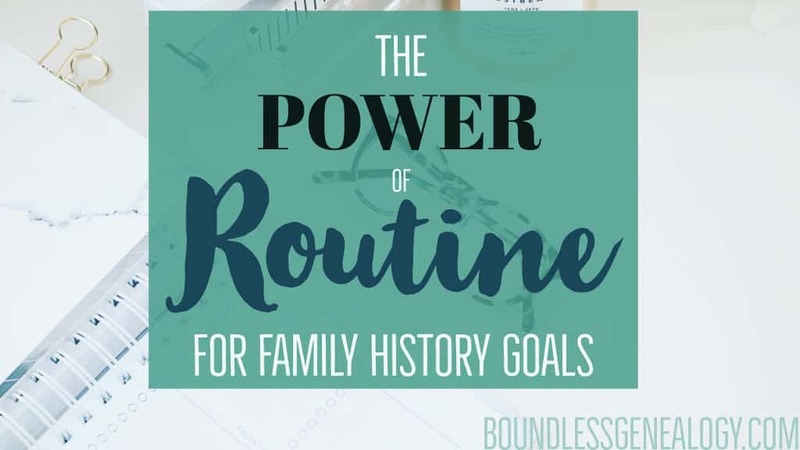 Fit family history into these places in your routine. Now that you have found room in your routine for your important goal, how to you remember to consistently work on it? The easiest way I have learned to add something new to my routine is by hooking it to something else. So, you get home from church late Sunday morning and you have lunch. This is a great place to hook a batch of indexing into your routine. Now you finish lunch after you get home from church and you sit down to index a batch from FamilySearch. Or, you complete your weekly grocery trip on Thursday afternoon (which isn’t your favorite task), and as a reward you hook on the fun goal of spending some time doing genealogy research. These examples are from my life and routine, but you get the gist. Add (or hook) genealogy tasks to a series of tasks you already regularly do. The beauty of adding a genealogy goal to your routine is that it is easier to keep plugging along at it instead of giving up. If you step out of routine for sickness, a last minute work meeting, laziness, or any other life occurrence, no big deal. You will get back to routine at some point. 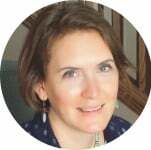 The next time the genealogy task comes around in your routine, you are right back at it, unlike with a traditional goal where you step off and it seems like all is lost. Now that my accreditation goal is nearing completion, I will gain back some time this year for other genealogy goals. I plan to fill that time in my routine with a faster pace of processing my family archive and then turning those archives into finished publications to share with extended family members. 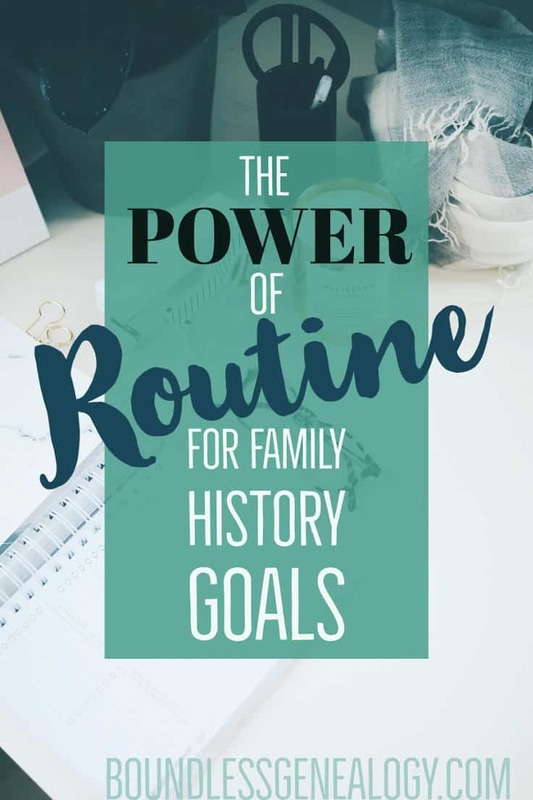 In the next few posts, I will be sharing a few genealogy routines that I use to get more done with less effort. By the way, this applies not only to additional tasks we want to add, but also modifying our existing procedures to get more done with less effort. As you look to the year ahead, what genealogy task would you like to add to your routine? Where can you make space for this task or incorporate it into something you already do? goals, new year resolutions, routine. Bookmark. You are so right. In the early 1990s, I lived far from the records that I needed, my job was very demanding, I didn’t have much cash, and the hours at the local Family History Center were limited. If I wanted to use that FHC, I had to fit it into the 7-9pm slot on Tuesday nights. That required me to be well prepared to do concentrated work in those two hours. So I spent each lunch hour on entering new-found data into a spreadsheet and planning the names that I meant to find on that month’s microfilm at the next visit. Whenever I return to that spreadsheet for a detail now, I marvel at just how much I achieved in two hours on Tuesday nights. Actually, I think the restrictions on my time helped me to advance faster than I could have if there had been a choice of hours.